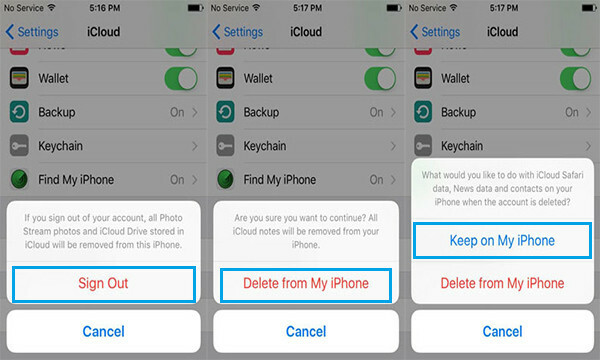 iCloud backup is one of the official way for iOS users to backup their data. Backing up data to iCloud is easy and convenient as you can do it as long as your devices are Wi-Fi connected. But it also has the disadvantage when you encounter issue of iCloud backup not working or the last backup could not complete. Once you are having this problem, how can you fix it? In this article, we will give you some solutions to fix iCloud backup not working. 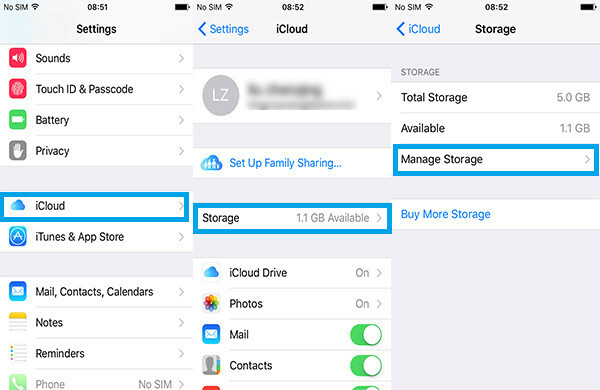 Tip: iCloud provides limited 5GB free storage, so it is better to check you have enough iCloud storage for backup. Go to Settings> iCloud> Storage> Manage Storage. 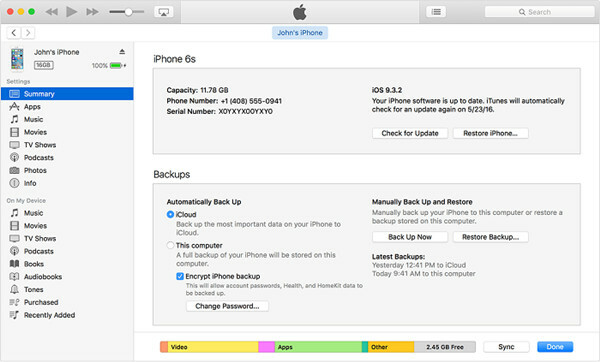 If the iCloud storage space is not enough, then iCloud backup issue is not a small hiccup. You can choose to clear iCloud backup to regain iCloud space, or you can purchase more storage, here are the iCloud storage pricing. 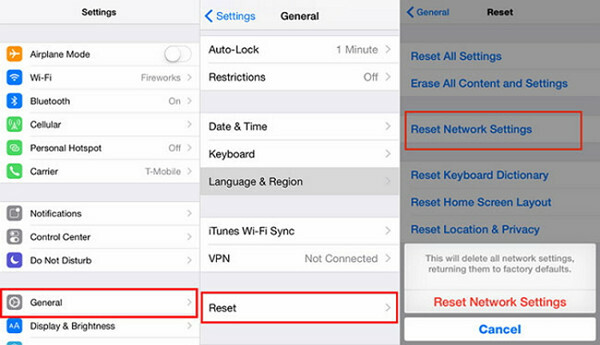 Network is a of great importance if you want to back up your iPhone/iPad/iPod to iCloud. 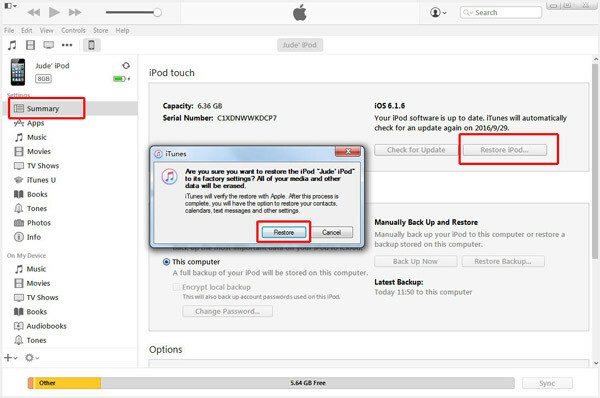 You can try reseting network settings to fix iCloud backup not working or the last backup could not completed problem. The most frequent issue encountered by many iOS users is the Wi-Fi issue. 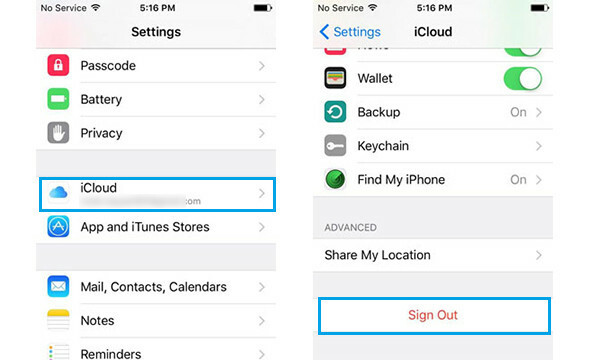 If the backup issue comes from iCloud, you may consider to log out and then log in iCloud again on your iOS device to check if the last backup could not completed problem still exist. Step 1: Unlock your iDevice, and navigate to Settings> iCloud. Scroll down to the bottom and tap "Sign out". Step 2: Tap Sign Out> Delete from My (iDevice)> Keep on My iPhone. Enter Apple ID Password and finally sign out your iCloud account. Step 3: Sign back in your iCloud and see whether the problem has been fixed or not. Even though currently iCloud backup cannot work, but deleting some existing iCloud backup may fix this issue. Go to Settings> iCloud> Storage> Manage Storage. Choose the device backup you don't need, and then tap on "Delete Backup" at the bottom. If nothing else has worked for you so far, then your last chance is to go thermonuclear on the problem by restoring your iOS device. Some might suggest to simply go to Settings > General > Reset > Erase All Content and Settings. Also, you can use iTunes to restore your iPhone/iPad/iPod. If you fail to make iCloud backup work for you, to fix iCloud backup not working, why not back up iPhone/iPad/iPod to iTunes instead? When your iPhone icon shows up on the top left menu of iTunes, click it. And all the data of your iPhone will be listed on the left bar. Under Summary> Backups, choose "This computer" and then click "Back Up Now". iTunes will begin to back up your iPhone. Except backing up data to iTunes, you also choose to back up iPhone to computer. iRefone is such the tool can help you do it easily. This software enables to back up data including messages, notes, contacts, photos, whatsapp, wechat and more. 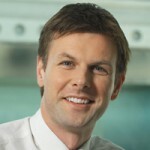 It supports to preview these data in the software so that you could selectively choose which data you need. What’s more, it allows you to backup data to computer in readable format.